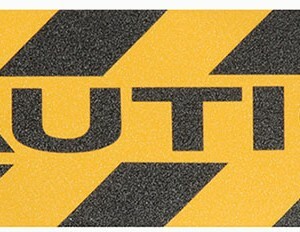 Safety Track® commercial grade non-skid grit tape provides a high traction surface and aggressive adhesive system for general use and long-term anchorage to a variety of surfaces. 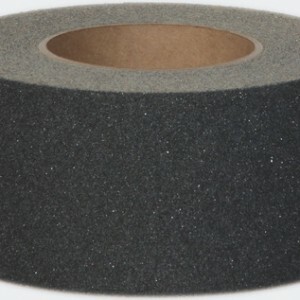 Silicon carbide grit provides consistent high slip resistance and durability for indoor and outdoor applications and it has superior resistance to chemicals and fluids. 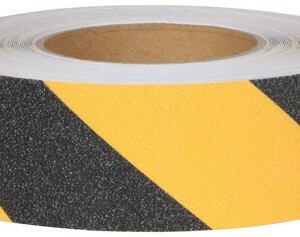 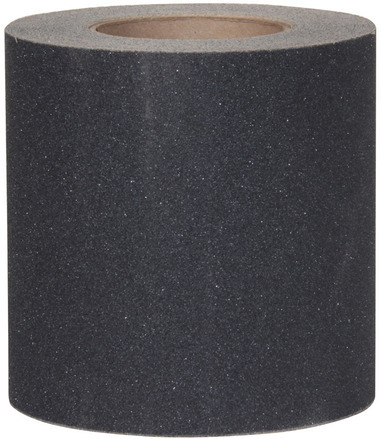 Safety Track® Black non-skid tape 6″x60′ roll is NFSI certified for “High Traction” and meets Prop 65, ADA, and OSHA standards.